Andrew Walmsley says VVM’s Manufacturing Accelerator has given him insights about how he can grow Volo Aero MRO in East Longmeadow. Valley Venture Mentors has made a name for itself providing invaluable mentoring and technical assistance to mostly young, startup ventures. But this fall, it has taken its ‘tough-love’ approach to helping business owners become more competitive and efficient to some businesses that are anything but young. Indeed, several of the participants in VVM’s Manufacturing Accelerator are decades old. But they are learning new ways to communicate with and better serve customers — and gain new ones. Scott Decker recently had a five-hour meeting with a long-time customer, during which they discussed business in a way they never had done before. The dialogue was initiated as a result of Decker’s participation in Valley Venture Mentors’ Manufacturing Accelerator program, which is a pilot that launched in October. It’s a new type of venture for VVM, which historically has focused on matching entrepreneurs with mentors who help them avoid pitfalls and grow their fledging businesses. The pilot is being run by Paul Silva, president of VVM, and Scott Longley, who owns Eidolon Consulting and has served as a VVM mentor for manufacturers. “It’s an experiment because we’re not working with startups; some of these companies have been in business for three generations and have dozens of employees,” Silva said, noting that the average age of participants is 50. One assignment each of the so-called ‘students’ received was to ask open-ended questions of existing and potential customers and continue these queries until they get to their bottom line in terms of need, expectations, and values, which is exactly what occurred in the recent meeting Decker had with a client. The program has also helped students hone in on what they do best, because most ‘job shops,’ which is the term these small manufacturers go by, are generalists and don’t specialize in a specific type of product or offering. Andrew Walmsley purchased Volo Aero MRO in East Longmeadow a year ago, and although his background includes business development, he says the course has been quite beneficial. Paul Silva, left, and Scott Longley say VVM’s Manufacturing Accelerator is a pilot project to help local job shops define what they do best so they can focus on a specialty. “It forced me to do outreach to a broad range of companies to understand what’s important to them,” he said, noting that he made more than 40 calls to supply-chain professionals, and if he hadn’t been accountable to the program, he would never have spent so much time defining exactly what they want, need, and value. “The program makes you revisit beliefs. What was true 20 years ago isn’t necessarily true today, and one of the most important lessons I’ve learned is how important it is to focus and understand your core market,” he said, adding that there is a high cost to doing business in this region and participants have discovered they face the same challenges. He likens running a business to tactical firefighting, and says it’s easy to get caught up in day-to day-problems. “But the program directs you back to the market and shows you where you can add value so you can be profitable,” Walmsley explained. 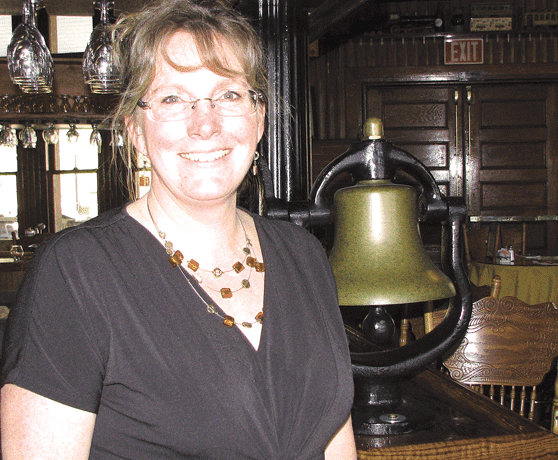 Longley told BusinessWest that it’s critical to ensure that manufacturing re-establishes the strong foothold it had generations ago when the Springfield Armory, Indian Motocycle, and other major companies were flourishing. “Local job shops grew up around the Armory to support their needs as well as the needs of other large companies,” he noted, adding that hundreds of these small, local shops still exist, manufacturing components used in medical, aerospace, and other industries, and have tremendous capabilities due to expertise honed by decades of experience. 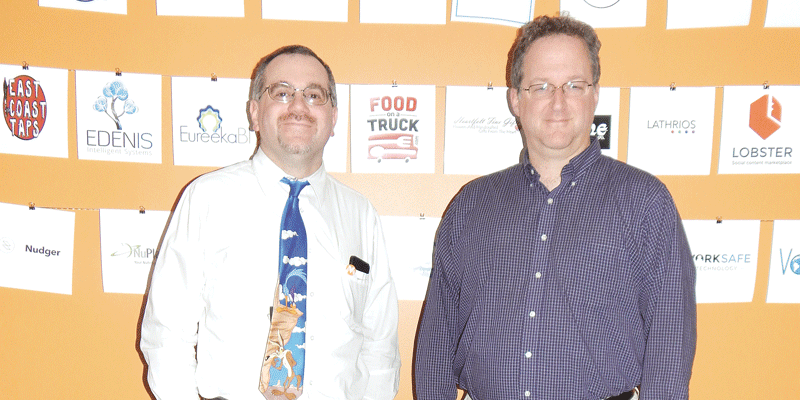 “Our goal is to help them find new customers and ways of doing business,” Longley said. 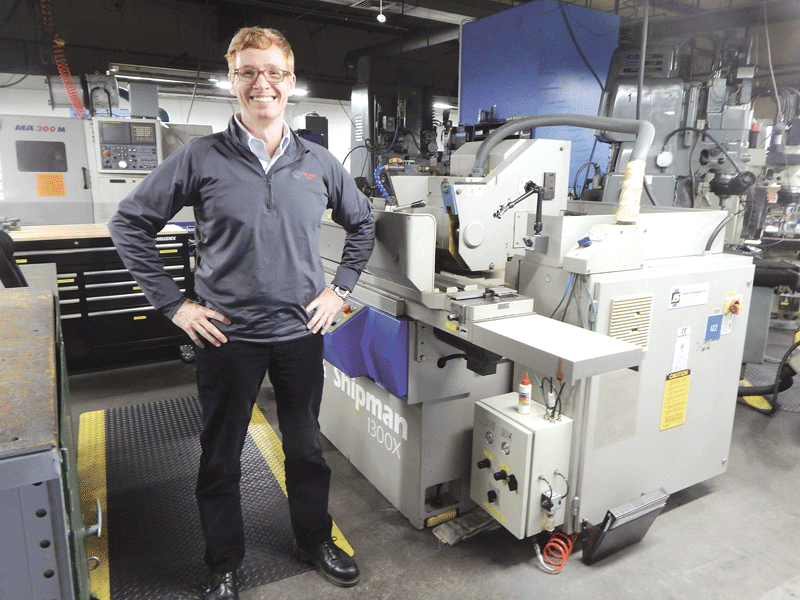 For this issue and its focus on manufacturing, BusinessWest talked with Silva and Longley to find out what the accelerator program involves and how its students — job-shop owners and executives — are integrating lessons honed from the syllabus into their operations. VVM has a storied history of success in helping entrepreneurs, and its accolades have included participation in a White House initiative last fall as well as other prestigious honors. Silva said the agency’s success prompted Vita Clark, executive vice president at MassDevelopment, to approach him last summer with the idea of starting a pilot to help local manufacturers develop an innovative mindset and synergistic approach to doing business. Silva thought it was a viable idea, and MassDevelopment gave VVM a $200,000 grant to fund the program. Eight companies were selected to become students, and they have devoted a tremendous amount of time to the program, which consists of 10 six-hour sessions along with a great deal of homework they are held accountable for. 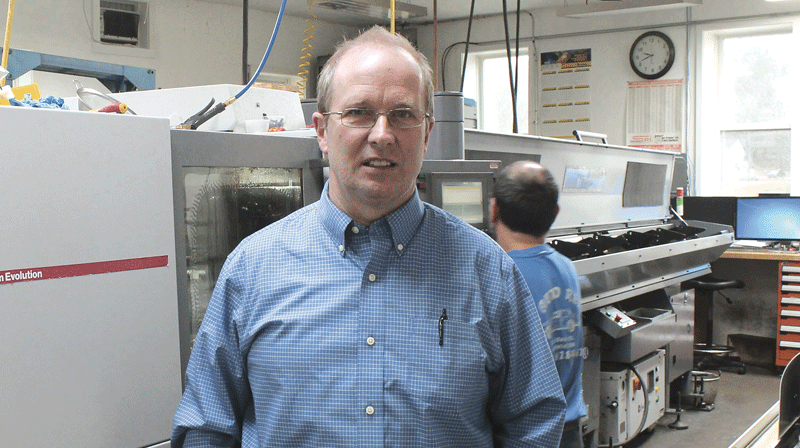 Sam Decker of Decker Machine Works Inc. in Ashfield says the VVM Manufacturing Accelerator has helped him gain new information about the needs of his customers. Because it’s an experimental program, Silva noted, changes have been made along the way, and although initial sessions were scheduled on a weekly basis, they switched to every other week because the working professionals couldn’t afford to be away from their job shop for an entire day every week. He told BusinessWest the program has been painful for students in some ways because it has exposed company weaknesses. But participants have discovered they share similar challenges that include problems such as not being able to afford a sales representative or being too small to get a good deal on health insurance. Decker Machine has been in business for more than 30 years, and Decker admitted he was skeptical about the accelerator before he attended an audition night. But today, he feels honored that his company was selected to be part of the inaugural class. Silva and Longley noted that many of the students were relying on 20th-century marketing tactics to generate business, included attendance at trade shows, cold calls, and word-of-mouth referrals. Most had not used social media before the accelerator began, and some didn’t have websites or only maintained very basic ones. List of Largest Manufacturers in Western Mass. But that is changing, and new skills are being learned. The program requires students to make presentations to the class, which has not been easy because many were not used to speaking in front of an audience. They have taken on the challenge, however, and been able to tell their peers what they learned from calls and meetings with clients as well as from other assignments. The purpose has been to grow and develop their comfort level on stage, and the participants have learned to include slides and other visuals to enhance what they have to say. A few weeks ago, Decker said, program administrators staged a Shark Tank-like experience during which people were brought in to critique participants’ sales pitches. He joked that he was happy to be one of the first presenters to go before the “sharks got organized,” because the feedback was not always easy to hear. “But they have learned, if they want to get a customer 10 times larger than any they currently have, they need to develop a good sales pitch,” Silva said. But the larger goal is to work toward identifying what sets them apart from other local job shops. “VVM wants us to specialize; it’s a way to survive and thrive in a market full of mediocre offerings,” Decker said. Still, it has been difficult for them to define what makes them different from their local competitors, which is critical knowledge as it can help them focus on developing a specialized niche. “There are different ways of specializing. For example, being able to turn something around in 24 hours is a very different skill than offering the cheapest price,” Silva noted. 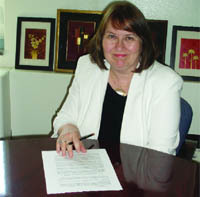 However, detailed phone calls and meetings have led students to the realization that buyers have different priorities; some want things produced quickly, while others don’t need a part right away but are very appreciative when a manufacturer can store it for them or delay a shipment, because it helps them manage their own inventory storage cost. The students have also been inspired by speakers from companies with histories of enviable growth, including the chief strategist at Yankee Candle and the CEO of FloDesign Sonics. As a result of their shared experiences, new alliances have been forged between these competitors who often didn’t know each other well before the class; for example, Deckers’ son recently helped Walmsley with search-engine optimization. The pilot program will end Jan. 30, and putting lessons to work will not be easy. “It’s almost human nature to fall back into old habits, but we believe our students can be successful, and we truly want that to happen,” Silva said. But the ultimate goal is for them to use the skills and expertise gained from decades of manufacturing in a new way that keeps pace with today’s ever-changing marketplace.